With no immediate relief in sight from a collapse in Canadian oil prices, oilsands companies are beginning to turn down the taps and produce less oil. Cenovus announced on Wednesday it would limit its oil output by an unspecified amount, while Canadian Natural Resources followed on Thursday by stating it has already cut production by up to 15,000 barrels per day and could increase that figure to as much as 55,000 this month and in December. Canadian prices crashed in September because of a backlog of oil in Alberta. The Fort McMurray region has increased production throughout this year, but export pipelines are full and several refineries in the U.S. which process heavy oil from Alberta, have shut down for maintenance in recent months. The refineries will begin operating again shortly, but prices may take much longer to recover because of how much oil is produced and in storage in Alberta and how little space is available to export the crude. "You're going to have to shut in production at some point in the coming months to balance supply and demand," Jon Morrison with CIBC World Markets, told a recent conference in Calgary. The amount of oil transported by rail is increasing every month in Canada and setting new records along the way. In August, nearly 230,000 barrels were moved per day by trains, according to the National Energy Board. According to Morrison, that figure has to reach 500,000 barrels by the end of the year for prices to improve. However, he expects it may only reach about 400,000. "That still leaves you with too much crude," said Morrison. "Prices collapse until producers shut in production to balance supply and demand." Cenovus CEO Alex Pourbaix is challenging the rest of the oilpatch to do just that. "The industry right now has a production problem," he said on a conference call with investors. "We are going to do our part, but we are not going to carry the industry on our back. I think this is something that has to be dealt with on an industry-wide basis." Several different grades of oil are produced in Alberta and they are all selling at lower prices compared to West Texas Intermediate, the North American benchmark. In October, heavy oil produced in Alberta, sold as Western Canada Select (WCS), was worth more than $50 US less than a barrel of WTI. With prices so low in Alberta, some companies say it makes financial sense to reduce the amount of oil sold on the market. "Due to widening price differentials driven by market access restrictions, the company made the pro-active and strategic decision to shut in, curtail and reduce activity on heavy crude oil production," Canadian Natural Resources said in a release on Thursday. The discounted prices impact oilpatch players differently considering some Canadian companies own refineries in North America and others have secured pipeline space out of Alberta. 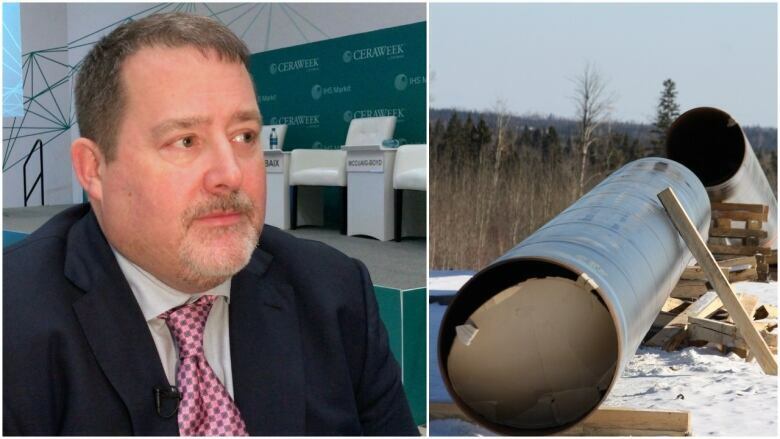 "The unprecedented, wide heavy oil price differentials caused by our chronic pipeline constraints is nothing short of a crisis for Canada," said Tom Whalen, president of the Petroleum Services Association of Canada, in a statement. Industry experts now expect low prices for Canadian heavy crude could persist into 2020.